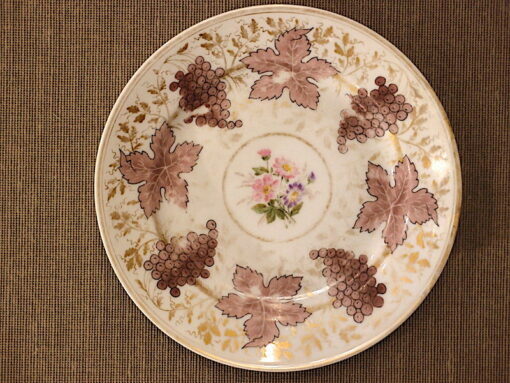 This plate is 18 cm in diameter. It was made in 1908 by the Imperial Porcelain Factory and is marked on the back with the cypher for the Emperor, Nicholas II and the date 1908. This size plate was for pirozhki. 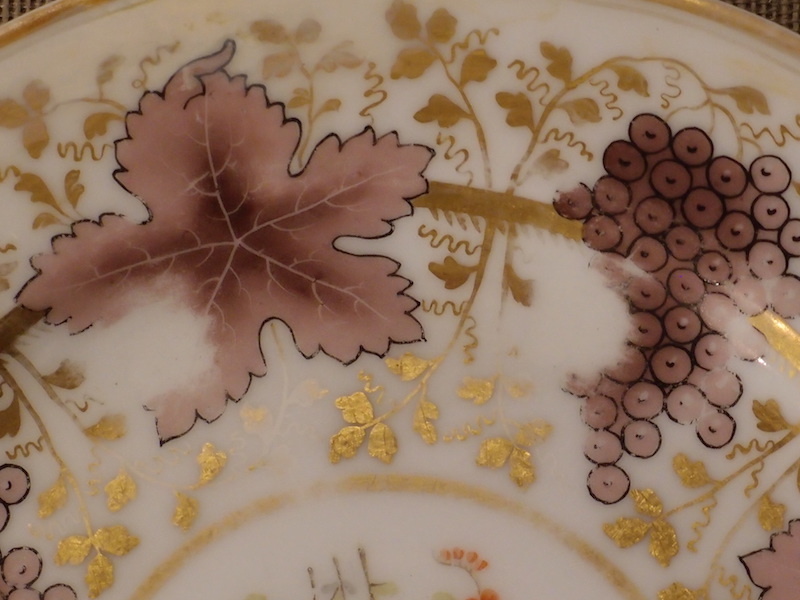 The original core service was made in France before 1823 and comprised 200 place settings, totalling over 1000 pieces. It was bought in 1823, and housed in Pavlovsk Palace (white buildings) , being transferred the following to Tsarskoe Selo (blue & white buildings). Additions such as these by the Imperial Porcelain Factory, St Petersburg, vastly increased the number of pieces. 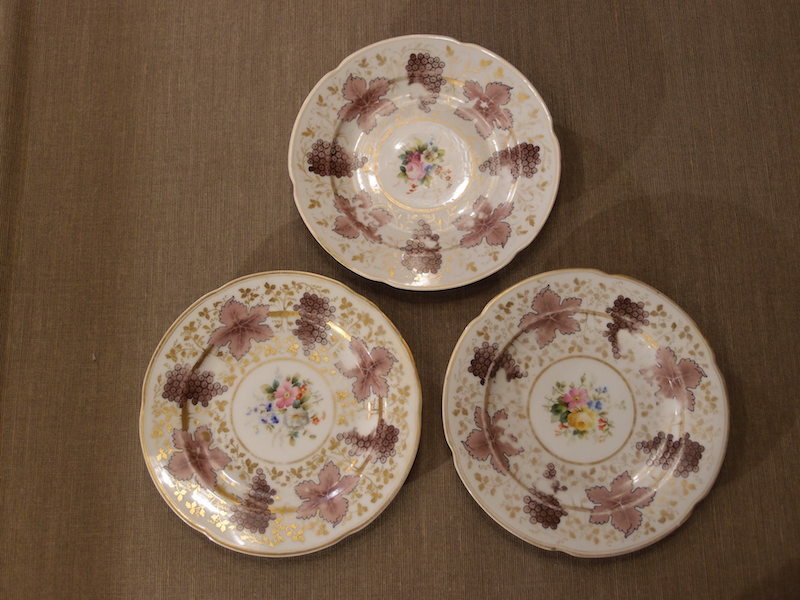 We also have two larger plates form the Korbievsky Service. 2 small repairs to the rim. Wear to the gilding and enamelling.